1 Pint Beer Bottle Embossed "W. D. Churchill The Brewery Trunch"
Willoughby Dixie Churchill is listed in 1908 at the Trunch Brewery, taking over from Bessie Neal Primrose. By 1912 he had been taken over by Edward Woodyatt. 1 Pint Beer Bottle Embossed "North Norfolk Brewery Trunch" Half Pint Crown Cap Beer Bottle Embossed "North Norfolk Brewery Trunch"
Cone Top Beer Can Printed "Trunch Ale North Norfolk Brewery Trunch" North Norfolk Brewery Trunch Delivery Lorry. 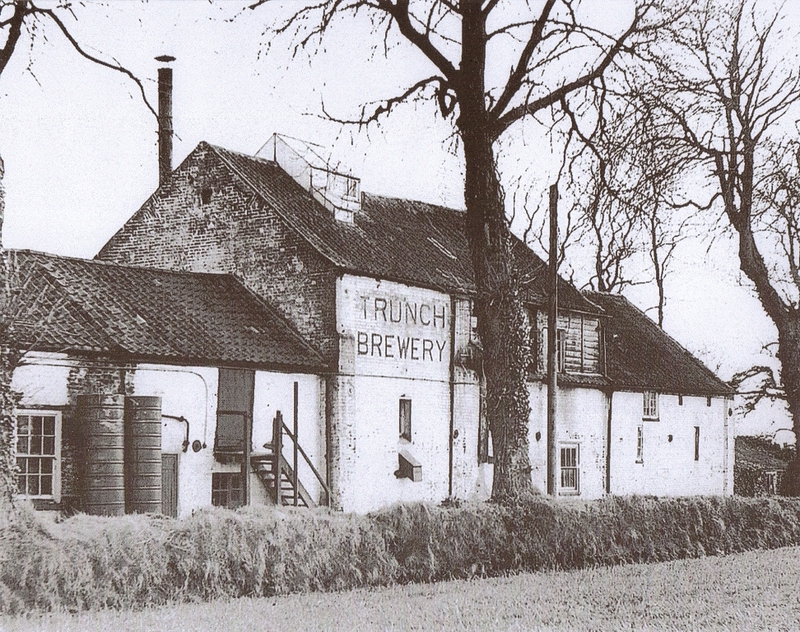 The Name North Norfolk Brewery was used between 1929 and 1939 and then became Trunch Brewery Limited. 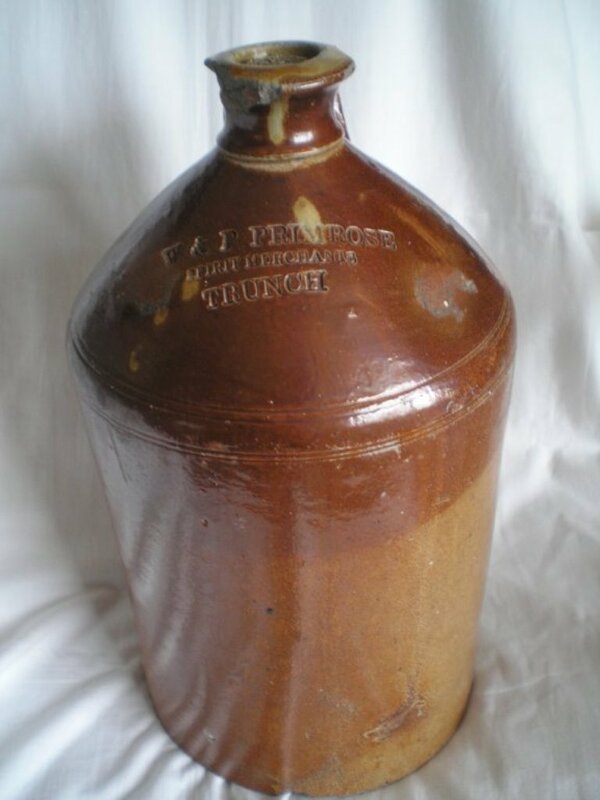 Saltglazed Flagon Impressed "W&P Primrose Spirit Merchants Trunch" Two Tone Flagon Impressed "Primrose & Co Spirit Merchants Trunch"
William Primrose is first listed in 1836 as a Corn and Coal Merchant. 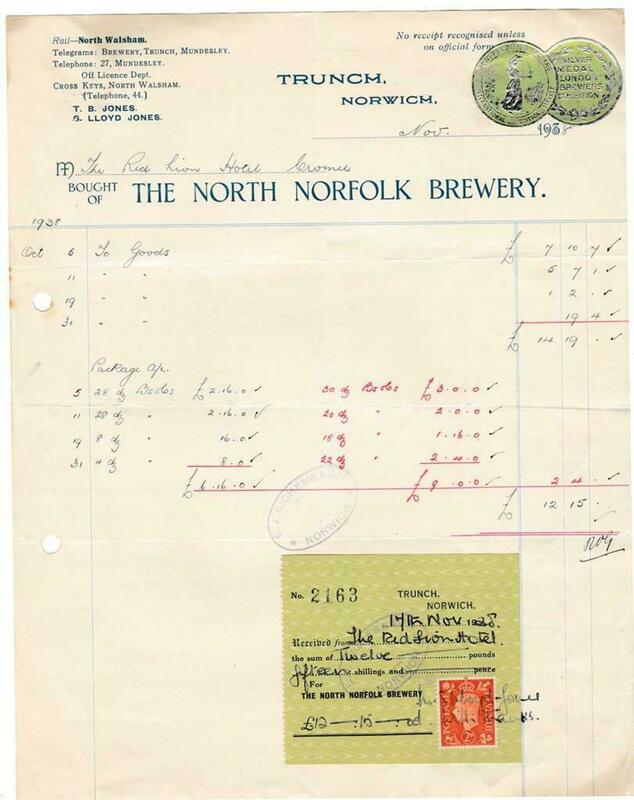 By 1845 he had founded the North Norfolk Brewery and was operating as a Brewer, Maltster and Seed Merchant. In 1854 William Primrose and Son (Phillip Smyth Primrose) are listed. 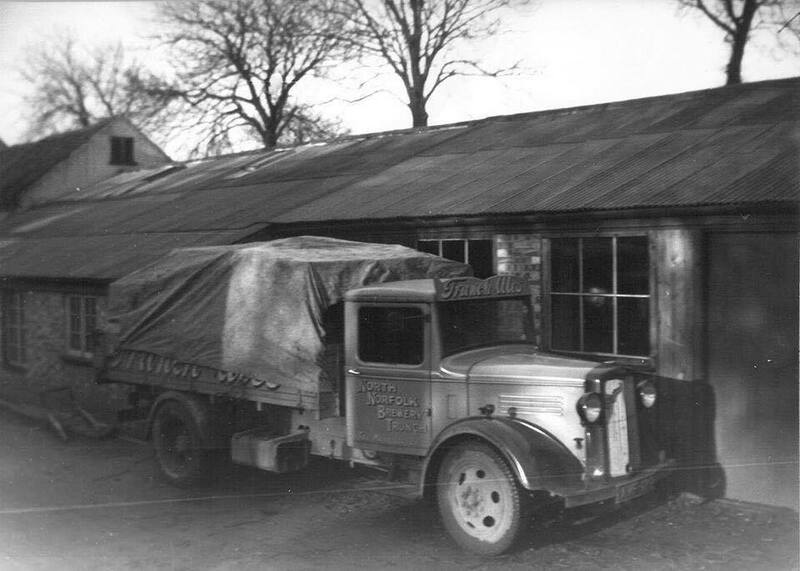 By 1858 they had become Primrose and Company Brewers, Maltsters and Spirit Merchants. 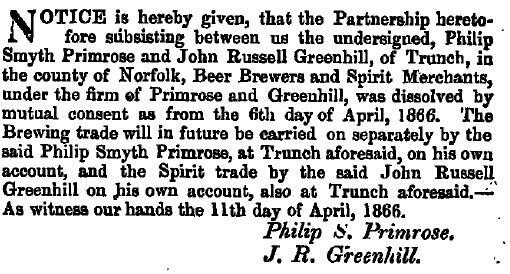 In 1864 William Primrose left the company and Phillip Primrose joined with John Russell Greenhill to form Primrose and Greenhill. However by 1865 this partnership had been dissolved. Phillip Smyth Primrose is listed on his own between 1868 and 1877. By 1879 Mrs. Bessie Neal Primrose was in control of the business and continued to run as a Brewer until Willoughby Dixie Churchill took over in 1908. 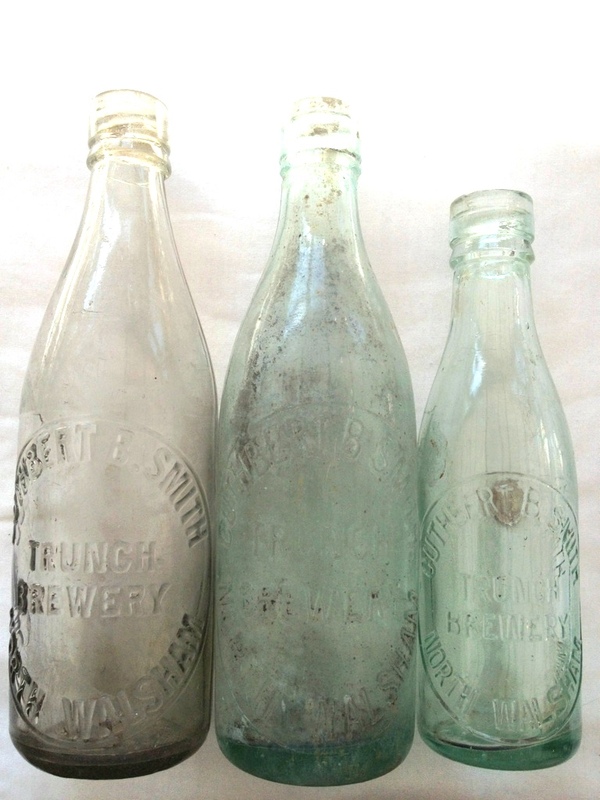 Various Beer Bottles Embossed "Cuthbert B. Smith Trunch Brewery North Walsham"
Cuthbert Bede Smith is listed first listed in 1922 after taking over from Edward Woodyatt continues to be listed as a Brewer beyond 1929. 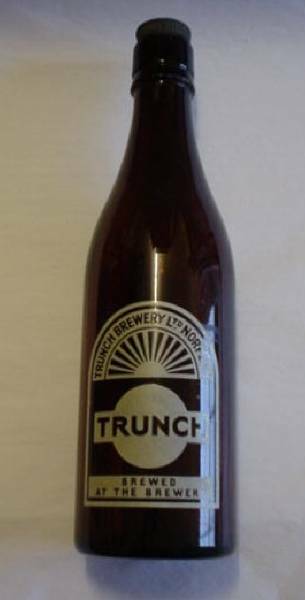 1 Pint Beer Bottle With Fired On Label which Reads "Trunch Brewery Ltd Norfolk Trunch Brewed at The Brewery" Crown Cap Bottle Opener "Trunch Ales"
Trunch Brewery Trunch Brewery Goes Into Liquidation. 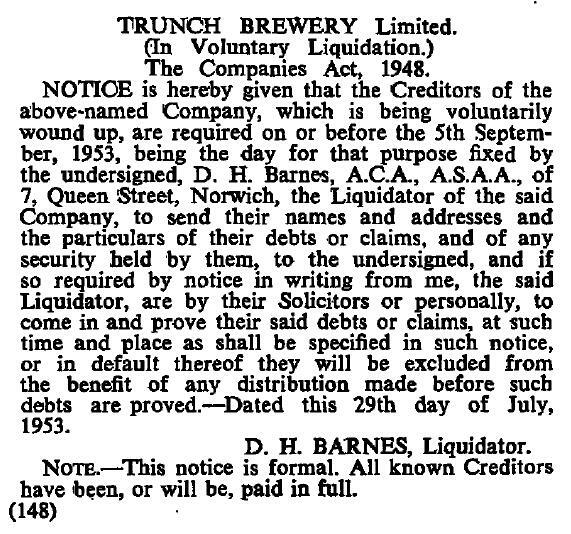 Trunch Brewery was wound up in 1953 and taken over by Morgans of Norwich. 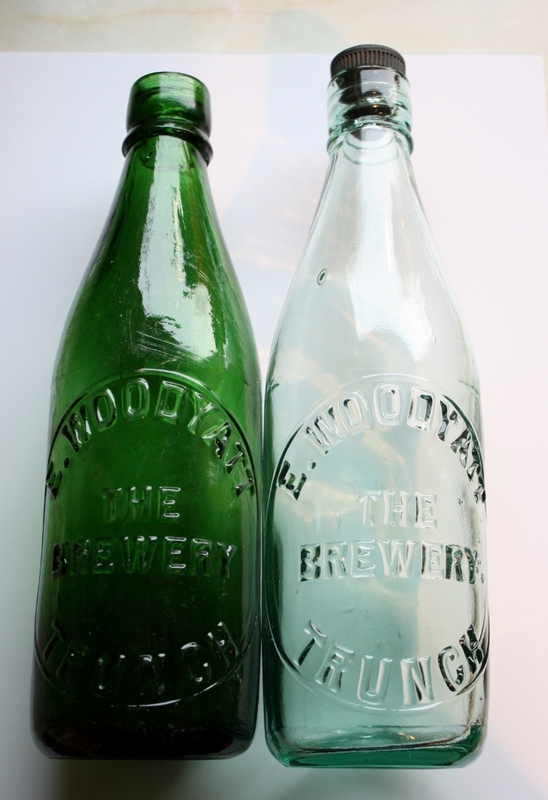 Pint Beer Bottles Embossed "E. Woodyatt The Brewery Trunch"
Edward Woodyatt took over from W. D. Churchill and is listed in 1912 and 1916 as a Brewer at Trunch Brewery but by 1922 had been succeeded by Cuthbert Bede Smith.